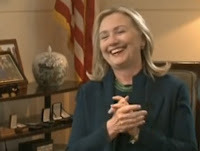 "You don't have everybody moving in the same direction without there being a head coach somewhere who was giving them instructions as to where he wants them to move"
“We came, we saw, he died!” she crowed in a CBS video interview on hearing of the capture and brutal murder of Libyan leader Muammar el-Qaddafi. The parliamentary Syrian elections taking place in Syria this week prove once more the indomitable resilience of the Syrian people, who are resisting one of the most brutal neo-colonial wars in modern history. Since foreign backed, unknown snipers opened fire on protesters and police on the 17th of March in the city of Daraa, the people of Syria have been defending their country from an armed invasion of brutal, and drugged, Takfiri death squad – all financed by Israel, the Gulf Cooperation Council, and NATO. The objective of the terrorist invasion of Syria is to conquer the country, by pitching Sunni fanatics against their Shia and Christian brethren. The broader goal of NATO’s genocidal war is to balkanize the proud, multi-cultural and highly united, Arab nationalist states. This strategy of chaos is being carried out in accordance with Israel’s geopolitical objectives in the Middle East, which requires breaking up and destroying all Arab nations contiguous to Israel; this ensures the regional and global supremacy of the Jewish State. It is a long and dirty war, one which could drag on for several decades. Zionism’s plans for the region are incontrovertibly demonstrated by two documents in particular: the 1982 paper published by the Israeli government official Oded Yinon entitled ‘A Strategy For Israel in the 1980s’, and the 1996 US neo-con document ‘A Clean Break: a New Strategy for Securing the Ream’. Both these testaments prove that Israel intends to destroy all countries who refuse to submit to Zionism’s regional hegemony. Syria has always been at the forefront of anti-Zionist resistance. The elections today prove to the world once more that Syria IS a democracy, and that it is far more democratic than any of the countries waging war against it. The will of its people is sovereign, inalienable and inviolable. Most importantly, the elections cogently illustrate the triumph of national liberation over neocolonialism, of people-power over tyranny. There are well-intentioned youths in Paris demonstrating for democracy against anti-popular legislation and the power of money over politics. But these youths have no understanding of the real reasons why their liberties and social security are being stolen from them. They have no idea of the genocide the French and American governments are orchestrating throughout the Southern Hemisphere nations of this planet. They have no idea that they are being led by the same ‘intellectuals‘ who support this colonial war against Syria. If the ‘nuit debout’ democracy movement in Paris is to become radical, to demand real social change, it will be that moment when they wave in solidarity the flags of the Syrian Arab Republic in Place de la Republique, and proclaim that Syria is a democracy and that the French people must call for ‘regime change’ here and not in Damascus. Until people understand who the real tyrants are, there will be neither peace nor justice in the world. In a recent Canadian Jewish News interview long time l’Université du Québec à Montréal (UQAM) professor Julien Bauer slurs Arabs and Muslims as he bemoans “anti-Semitism”. “In the corridors of UQAM, there are occasionally pro-Hamas demonstrations and anti-Semitic posters, but this is relatively rare,” Bauer wrote in French. Rather than calming the tantrum, Canadian political leaders often contribute to the hysteria of certain Jewish groups. During the recent debate to condemn the Boycott, Divestment and Sanctions campaign MPs repeatedly accused a movement demanding Israel comply with international law of being “anti-Semitic”. The terms “anti-Semitic” and “anti-Semitism” were invoked over 80 times in a debate to justify Jewish/white supremacy in the Middle East. While Canadian Jews faced discriminatory property, university and immigration restrictions into the 1950s, even the history of structural anti-Jewish prejudice should be put into proper context. Blacks, Japanese and other People of Colour (not to mention indigenous peoples) have been subjected to far worse structural racism and abuse. Even compared to some other “white” groups Canadian Jews have fared well. During World War I, 8,500 individuals from countries part of the Austro-Hungarian Empire (mostly Ukrainians) were interned while in the mid-1800s thousands of Irish died of typhus at an inspection and quarantine station on Grosse Ile in the Gulf of the St. Lawrence. Canadian Jewry hasn’t faced any equivalent abuse. Montréal’s Jewish community has segregated itself geographically as well. Without retail shops in its boundaries, Hampstead is an affluent Montréal suburb that is three quarters Jewish. Four times larger than the adjacent Hampstead, Côte Saint-Luc is a 32,000-person municipality that is two thirds Jewish. Vancouver, BC - The Coast Guard has confirmed a spill of diesel oil in Vancouver’s English Bay following reports of large slick in Vancouver Harbour. "Just one year and a week after the last major oil spill in Vancouver we see another massive slick is spreading out across English Bay, near where Humpback Whales were recently spotted. While this spill is not as serious as last years bunker oil spill and no where near as dangerous as a spill of tar sands bitumen, which Kinder Morgan plans to ship through the port in over 400 oil tankers a year if their pipeline is approved, it is a good reminder that oil and water don’t mix. "The federal Department of Fisheries and Oceans (DFO) has issued a statement saying this latest spill will have no environmental impact but it is hard to look at the images of yet another slick right off Vancouver’s beaches and hear reports of a strong smell of oil from people in our waterfront parks and not be concerned for the state of our marine environment. "To add insult to injury the DFO says they says they will not be investigating the source of the oil. Following last years spill we were promised better spill response, today's events cause me to question if anything has really changed." The petroleum industry is not a dying industry. Unfortunately, this dogma is often repeated these days, and it is not much different from the dogma that “there is no such thing as human-caused climate change”. Rather it is an industry that is undergoing fundamental change on the world scale. And what is that change? It is in the early stages of shifting from an industry that is largely reliant on producing combustible fuels (gasoline, diesel, etc.) to an industry that focuses on producing a blizzard of other petroleum-based non-fuel products. As it stands, we are already surrounded in our homes, workplaces and communities by a huge amount of non-fuel products that are derived from petroleum, including, as other commentators have noted, many of the components of the computer I am currently using to write this article. Here is just a very small sampling of non-fuel petroleum-derived products around an average house: ink, upholstery, cassettes, CDs, vitamin capsules, dentures and denture adhesives, clothes, combs, toothbrushes, dishwasher parts, floor wax, toilet seats, antihistamines, cortisone, food preservatives, ballpoint pens, nail polish, Vaseline, antiseptics, deodorants, rugs, fertilizers, fishing rods, trash bags, golf bags, candles, faucet washers, water pipes, aspirin, dishes, insecticides, perfumes, soaps, shoes, hair coloring, lipstick, house paint, shower curtains, eyeglasses, detergents, telephones, cameras, bandages, hair curlers, and so on and so forth. This not to mention that our streets are paved with asphalt and our vehicles (including, as another commentator has noted, electrical vehicles) crammed with petroleum-based products from paints to plastics to lubricants to windshield washer fluid. Our diverse industries and workplaces are absolutely dependent on a huge variety of petroleum-based products without which they would come to a grinding halt. Indeed, it would take many pages of a book (which also uses petroleum-based products in the printing) to list them all. It is estimated that there are around 6,000 petroleum-based products being produced in the world today, many of which are essential to our daily lives, our communities and our economy. Even these 6,000 products can be further sub-divided into thousands more products. Now, it is true that some of these products also pose serious problems in themselves such as non-degradable plastics, and so on. But, using technology and science, many of these problems can also be overcome. Other products that remain problems can be discontinued along with combustion fuels. The point is that, in Canada and on a world scale, we are wasting a large amount of this precious petroleum resource for fuels of various kinds that are destabilizing our planetary climate through carbon emissions. Furthermore, we are missing the opportunity to develop industrial strategies that focus on developing the value-added infrastructure to process and manufacture at least some of these 6,000+ non-fuel products, thus creating jobs and advancing the breadth and depth of our economy. Should we simply go on “ripping and shipping” the petroleum resource and sending it off to other countries for manufacturing – the agenda of Big Oil? Should we simply give up and let the resource stay in the ground? Or should we seize the opportunity to develop the processing and manufacturing of at least some of the 6000+ non-fuel petroleum products and thus strengthen our economy and build our nation, as we go into a future in which fuel combustion will decline dramatically in the context of national and international action on climate change? Impossible Dreaming: NATO Can't Disarm, Just Yet! “Poor” G7 Just Cannot Disarm Yet! They met in Hiroshima, Japan, in the first city on Earth that had been subjected to nuclear genocide. They were representing some of the mightiest nations on Earth: Canada, France, Germany, Italy, Japan, the United Kingdom, and the United States – the so-called Group of Seven (G7). And at the end of their encounter, they called for “a world without nuclear weapons”. 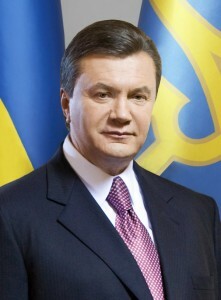 I am talking about the foreign ministers of seven countries with the largest economies on Earth. Read carefully the names of these countries, one by one! For decades and centuries, the world has been trembling imagining their armed forces and corporations. Lashes administered by their colonial rulers have scarred entire continents, tens of millions were enslaved, and hundreds of millions killed, billions robbed. Even now, if we all listen carefully, we can clearly hear the victims screaming, in agony: the native people of Canada and United States, the colonized people of Africa, Asia and the Middle East. For centuries, the entire world has been in shackles, on its knees, humiliated, plundered and destroyed. G7! How many billions of victims from all corners of the world, made those countries so ‘grand’? To ensure that the pillage could continue uninterrupted, the West together with those “honorary whites” (a term that the South African apartheid regime invented exclusively for the Japanese people) created several aggressive and belligerent pacts, including NATO, calling them, of course, “defensive” alliances. It came as no surprise: remember that in the lexicon of the Empire of Lies, war is called peace, while aggression is always defined as defense. But this I have already described in detail, in my 820-page book “Exposing Lies of the Empire”. Now foreign policy tsars of the “G7” were standing shoulder to shoulder again, in Hiroshima, of all places, and only a few days after the 71st anniversary of the nuclear blast. Making predictable declarations and self-glorifying speeches. The weather was good, partly sunny, with excellent visibility. But was the world really able to see through the thick fog of Machiavellian cynicism and lies, dispersed all over the Planet by those grinning rulers of the world? “We reaffirm our commitment to seeking a safer world for all and to creating the conditions for a world without nuclear weapons in a way that promotes international stability”. Seriously? No one around those ministers fell; nobody was seen to be rolling on the floor, shaking from uncontrollable laughter. Obviously, a joke repeated thousands of times loses its luster. What exactly were we reading? What was between the lines? Were we being told that the United States needs all of its 6,970 nuclear weapons to antagonize Syria and North Korea, while sustaining the fascist regime in Ukraine? Just to put things into perspective: two Communist countries with nuclear capability have really negligible stockpiles of nuclear weapons, compared to the West and G7. China has 260 and North Korea (DPRK) approximately 15. In comparison, France has 300 and the U.K., 215. In 2016, the population of China stands at 1.382 million, while that of France is less than 65 million. China has more than 21 times more people to defend, but despite that, France has more nuclear weapons. The comparison gets even more ridiculous between North Korea and the U.K. The figures quoted above are the latest “official” statistics, taken from the World Nuclear Weapons Stockpile Report, updated as recently as on March 2, 2016. It would also be appropriate to recall that North Korea has never invaded any foreign country. Also China (PRC), apart from two brief border clashes, has never been involved in any large-scale military conflict. Not once has it colonized or destroyed a foreign land. Both France and the U.K. have been plundering on all of the planet’s continents, for centuries. Later, in the 20th Century, the United States ‘took over’ the reigns of imperialism from the old and ‘traditional’ European colonialist empires. One statement is actually correct: there is that deteriorating security environment in a number of regions, but only due to the covert as well as direct aggressions of NATO and the G7 countries. Before dispersing, the G7 party did what its members enjoy doing the most: lashing at China. The US is habitually implementing that ‘good old’ British ‘divide and rule’ strategy. In Asia, it uses its ‘client’ states, particularly the Philippines, Japan and South Korea to isolate and provoke both China and DPRK. This policy is so dangerous that many here believe that it could eventually trigger the Third World War. The Western military build-up in the Asia Pacific region, the military maneuvers conducted jointly by the US and South Korea, as well as the continuous militarization of Japan, are definitely some of the topics that are making most of the Asian continent both ‘concerned’ and frightened. Predictably, the DPRK remained the main punch bag of the G7. The ministers never explained exactly why the world should be petrified of North Korea. Such fear should apparently be taken for granted, especially after the long decades of intensive and vicious Western and South Korean propaganda. Of course, building defenses against the combined NATO and G7 aggressions is one of the most deplorable crimes, it calls for capital punishment! Shamelessly, after spreading verbal toxins, all seven ministers went to the grounds of the monument and museum dedicated to the victims of “Hiroshima A-bomb”. The Japanese Foreign Minister Fumio Kishida led the pack. Under the bizarre leadership of his government, Japan has been doing its absolute best to betray Asia, and to antagonize its neighbors. In the most servile and shameful way, it has fully accepted the Western dictates, increased the volume of its own hysterical propaganda campaign against China and DPRK, and has begun to bolster its military. Why? Just to please its masters, those ‘noble and superior Westerners’! By now, Japan is not even what its Prime Minister Shinzō Abe wants the world to believe that it is: a conservative nation governed by a nationalist government. Looking at Japan’s past, “conservative nationalists” used to be, for instance, some of the greatest writers like Yukio Mishima, a man who ended his life in 1970 by committing a ritual suicide, protesting Japan’s unabashed submission to the West. Japan’s Prime Minister Abe is definitely a ‘conservative’, but is he really a Japanese nationalist? He is defending the interests of Washington much more than those of his own country. Perhaps, “honorary white and one of G7 leaders” would be the most fitting term to define him. Now, according to the official NATO website: “Japan is the longest-standing of NATO’s “partners across the globe”. It is also one of the nations that are shamelessly plundering the world through its brutal corporations. And so they stood there – seven ministers from some of the most aggressive countries on Earth. They stood on the turf that was, more than 70 years ago, burned to ashes, in just a few seconds after the nuclear explosion. They said again and again how much they would like to disarm, how much they would like to see the world free of nuclear weapons. What they didn’t say was that they never would disarm, voluntarily. And they never clarified how they actually made it to that exclusive G7 club: because of the unbridled plunder during their colonial history, and because of the modern-day global corporate pillage, as well as their mining and oil “investments”. And of course because of the “world order”, imposed by force and all sorts of weapons, nuclear and conventional, on the rest of the Planet. Instead of Group of Seven, this pack should be simply called ‘GS’ – the Group of Shame. The ministers stood for some time in front of the flame burning at the monument to Hiroshima A-bomb victims. They posed for the cameras. Then they went away, sat down at some table, and wrote the official declaration on nuclear disarmament, ‘explaining’ why they cannot abandon their tools of coercion. And that declaration turned out to be nothing more than yet another monumental pile of lies! In fact, this primary campaign has produced a couple of surprises, more earthly than divine. Both surprises reveal widespread grass roots discontent with both Hillary Clinton and the whole American political establishment. However, this discontent so far fails to focus on the point of my book: the need to combat the ideology and practice of U.S. war policy personified by Hillary Clinton. Where is the effective alternative to the War Party? Donald Trump has made it clear he wants to end the current hysterical anti-Putin pre-war propaganda and do business with Russia. This sounds like a major step toward preventing nuclear war. All to the good. The problem is, Trump is a lone wolf. Many of his supporters seem more excited by style than by content. Their multiple incoherent grudges against the system do not add up to an anti-war movement. Trump is unpredictable, and it is hard to see where he would find the foreign policy team and the support needed to overthrow the entrenched foreign policy elite. With Bernie Sanders, things are a bit the other way around. The Sanders campaign is creating an enthusiastic popular movement, with specific aims in domestic policy. Bernie calls for a “political revolution” and insists that he cannot accomplish all this by himself. All to the good. But Bernie Sanders has said little about foreign policy. The radical shift in domestic priorities advocated by Bernie implies drastic cuts in military spending, but he has not been spelling this out. Despite his strong opposition to the 2003 invasion of Iraq, he has been susceptible to the “humanitarian” war cries of the liberal interventionists, who would certainly strive to take charge of his foreign policy should he miraculously be elected. So, Trump has the defiance, and Bernie has the movement. What is still lacking in this campaign is clear denunciation of the very worst of Hillary Clinton’s many negative traits: her eagerness to go to war. And it is not merely Hillary who needs to be defeated: it is the entire militaristic power structure she represents. One hopeful sign is the resignation from the Democratic National Committee of Hawai’i Congresswoman Tulsi Gabbard in order bring her strong voice against “regime change” wars into the Sanders campaign. There is a chance that as it develops, anti-war sentiment may grow more explicit in the Sanders movement, influencing Bernie himself and providing the social force needed to confront the liberal interventionists within the Democratic Party. The occasion of this campaign should be seized not only to expose the lies of Hillary Clinton, but also to seek freedom from America’s seven decades of subjugation to the military-industrial complex and its organic intellectuals who never cease conjuring up “threats” and “enemies” to justify the war economy. This entire policy needs to be exposed, denounced and rejected. That is what I tried to do in Queen of Chaos. Brinkmanship and Hysteria: What Is the Pentagon and Press Playing at in Russia? US news reports on an incident Tuesday in which two Russian jet fighters buzzed very close to a US destroyer, the USS Donald Cook, in the Baltic Sea, make it sound like a serious threat in which the US might have been justified in defending itself against a simulated attack on the high seas. Nowhere in the reports in the US was it mentioned that the Cook was itself engaging in provocative behavior. The Baltic Sea is an international waterway, bordering the countries of Denmark, Germany, Poland, Russia, Latvia, Estonia, Lithuania, Finland and Sweden, and as such, if the US wants to sail a military ship there, it has every right to do so. But honest reporting on this incident should have included that the Cook wasn't just sailing around innocently in the open waters of the Baltic. It had moved to within a 70-mile radius of the Russian port enclave of Kaliningrad -- an isolated and thus sensitive part of Russian territory located on the Baltic coast that is bounded by Lithuania and Poland and thus is separated from the rest of Russia. Kaliningrad is the site of a major Russian naval base, and is also home to 500,000 Russian people. 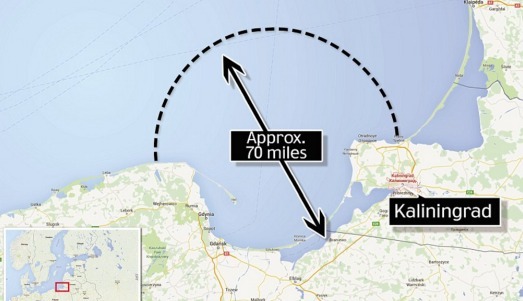 Here's a map of Kaliningrad showing the 70-mile radius within which the USS Cook had positioned itself at the time of the multiple flybys by two Russian Su-24s (and where it was engaging in landing and takeoff exercises with Polish military helicopters. The US reporting on this whole incident has been hysterical. CNN's Pentagon reporter said the jets were "demonstrating a simulated strafing run" and implied that it was dangerous because "if it had been a real strafing run, we wouldn't have known it until it was too late." Of course, Russia and the US are not at war, so why would Russia have strafed a US destroyer? The reporter didn't say. Instead, he said the ship's commander deserved "kudos" for keeping his cool and not loosing the ships anti-aircraft defenses on the two jets. The Russian jets, it should be noted (but wasn't in this report until late in the piece), were not armed, with no missiles mounted on the wings. The Cook, on the other hand, is armed not only with deadly defensive anti-aircraft weapons, but also with offensive (and potentially nuclear-tipped) Tomahawk cruise missiles, making its maneuvers in and around the Russian base and Russian territory anything but innocent. Other US news reports were similarly breathless and one-sidedly jingoistic in their reporting about the encounter. Under international maritime laws, a country can claim the waters within 12 miles of its coast to be "territorial waters," and can exclude foreign ships within that distance, but when it comes to military bases, and countries that a country views as potentially rivals, such as the US and Russia or China, ships further off from a base are liable to be surveilled and maybe even harassed if they approach. 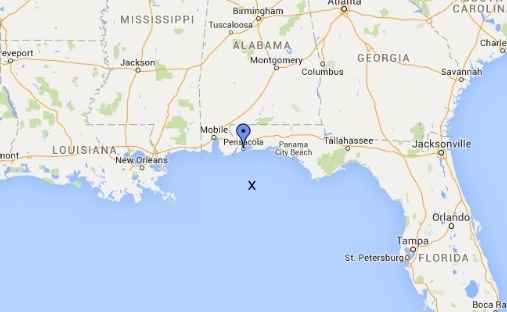 I'm guessing if a Russian warship were to get within 70 miles of a US Naval installation, it would, like the USS Cook, find itself being buzzed by US Navy attack planes, or visited by US Coast Guard vessels--especially if it were known to be armed with long-range potentially nuclear-tipped cruise missiles! And remember, while US government officials keep referring to Russian "aggression" (falsely claiming, for example, the the Russian Army "invaded" Ukraine and especially the erstwhile Ukrainian territory of Crimea (later annexed following a local plebicite), it has actually been the US that has been taking a very aggressive stance towards Russia. This has been true ever since the US backed a coup in Ukraine, which ousted the elected pro-Russian leader of that country and installed a fascist anti-Russian government their that then launched a war against the Russian minority in Eastern Ukraine. The US lately has been moving offensive weaponry into Poland, Estonia and other countries bordering Russia in what can only be seen as threatening moves, while leading an embargo against Russia --itself an act of economic warfare. It is in light of these aggressive US moves that the USS Cook's incursion near Kaliningrad has to be seen, and also the Russian aerial response to it. But that kind of fair and balanced reporting is absolutely absent from US corporate media reports on this incident, which instead simply parrot the Pentagon and State Department line and present it all as an example of Russian "brinksmanship." By the way, I think it's safe to assume that this kind of dangerous brinksmanship -- dispatching of a nuclear-armed, or potentially nuclear-armed ship up close to Russia's borders to play chicken with the Russian Navy and Air Force -- is not something we'd see if Bernie Sanders were president, but it is something we can expect if his neocon opponent Hillary Clinton, or any Republican candidate (with the possible exception of Donald Trump), were to replace President Obama. Lee Camp, host of RT's Redacted Tonight and resident Palast Investigative Fund humorist was arrested Tuesday afternoon at the Democracy Spring protests in Washington DC. He was one of hundreds who have been arrested in the actions, which are now on day three of ten days of protests. Democracy Spring is a coalition of like-minded groups working together for voting rights, getting money out of politics and protecting the environment. Check out Lee Camp's videos on how to protect your vote from the DVD "Why We Occupy" below. Listen to Lee's interview with RT’s Eunan O’Neill on his arrest. According to The Economist, the ‘’global scramble to secure supplies of lithium by the world’s largest battery producers, and by end-users such as carmakers”, among other things, has seen the price of lithium carbonate imported to China more than double just in November and December of last year alone, when it reached an amazing $13,000 per ton. Some contracts in China, according to Bloomberg, have seen over $23,000. Virtually every suspect involved in recent Brussels bombing had been tracked, arrested, in custody – either by European security agencies or the agencies of their allies – but inexplicably released and allowed to carry out both the Brussels attack as well as the Paris attack that preceded it. So obvious is this fact, that the Western media itself admits it, but simply dismisses the obvious and deeper implications such facts pose by claiming it is merely systemic incompetence. violent crimes or terrorism-related charges. The Wall Street Journal would admit that the recently arrested “man in the hat” also known as Mohamed Abrini, was also arrested for suspected terrorist activity – allegedly scoping out potential targets in the UK – but also – like his collaborators – inexplicably released. His brother had been to Syria where he fought and died alongside the so-called “Islamic State” (ISIS), and Abrini himself too appears to have been in Syria. After the U.K., Mr. Abrini traveled to Paris and then Brussels, where he was arrested but then released, according to the two people. But Belgian authorities passed the information about his U.K. trip, including images found on his phone, to the British, the sources said. Abrini’s case of “catch and release” before carrying out a successful string of deadly attacks across Europe, is just the latest. That makes 4 suspects who were known to European security agencies for violent crimes and/or terrorism, with each and every one of them in custody before the attacks unfolded. For fisheries around the world, the concept of “catch and release” allows anglers to enjoy the fishing experience while preserving the numbers and health of fish populations. The concept of “catch and release” for Western security and intelligence agencies appears very similar – to maintain the illusion of counterterrorism operations, while maintaining the numbers and health of terrorist organizations around the world. Answering “to what end” the West is allowing terrorists to successfully carry out attacks against Western targets, the answer is quite simple. It allows for the expansion of power and control at home while justifying endless and profitable wars abroad. The creation and perpetuation of terrorist organizations like Al Qaeda and ISIS by the West and its allies serve another, admitted purpose. In the 1980’s it was admitted that Al Qaeda was created to wage proxy war against the Soviet Union in Afghanistan. In 2011, the US and its NATO and Persian Gulf allies used terrorists linked to Al Qaeda in Libya and Syria in an attempt to overthrow their respective governments. Today, ISIS serves both as an armed proxy waging full-scale war on the governments of Syria, Iraq, and more indirectly Iran and Russia, as well as a means to threaten and coerce nations around the world. Political impasses in Southeast Asia revolving around America’s waning influence in the region have been met with the sudden and otherwise inexplicable appearance of ISIS. In one case, Indonesia signed a large rail deal while pursuing other economic and military partnerships with Beijing, before suffering its fist ISIS attack in its capital, Jakarta. Thailand was likewise threatened by the US of an imminent ISIS attack, amid attempts by Bangkok to uproot the political networks of US-backed political proxy, Thaksin Shinawatra. Bangkok has also shown hesitation to sign the unpopular US-sponsored Trans-Pacific Partnership (TPP) free trade agreement. Bangkok was already hit by terrorism last year after returning suspected terrorists to China to face justice against America’s repeated protests. Just months later, groups tied to NATO terrorist front, the Turkish Grey Wolves, carried out a bombing in the center of Bangkok. ISIS, its counterparts, and peripheral groups like NATO’s Grey Wolves, serve multiple roles for the West. They are a pretext to invade and occupy foreign nations, a proxy army to wage war against its enemies with, and a means of maintaining fear and obedience at home under the auspices of an increasing police state. It is difficult to believe the West could maintain its current foreign and domestic policy without this menace – it has become an integral part of Western geopolitical strategy. Would a Signed Confession Convince You? Many are quick to dismiss evidence of Western special interests’ use of terrorists and terrorism to project geopolitical power abroad and maintain control at home. 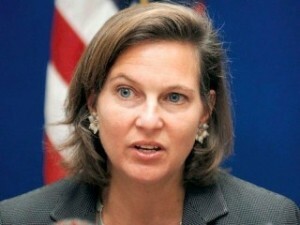 This is despite the admitted nature of the West’s role in the creation and utilization of Al Qaeda in Afghanistan during the 1980s, and signed and dated policy papers like the Brookings Institution’s 2009 “Which Path to Persia?” document which openly advocated using listed-terrorist organization, Mujahedin-e Khalq (MEK), to wage a proxy campaign of violence against the Iranian people and their government. MEK, it should be noted, is guilty of killing American civilians and military personnel, as well as continuing a campaign of terrorism against civilian and political targets in Iran. Brookings in fact, admits this while proposing the US’ use of the terrorist organization to carry out US foreign policy objectives. If MEK is a suitable candidate for Western sponsorship, why not ISIS? Considering this, and the “coincidental” arming and funding of “rebels” in Libya by the US and its allies in 2011 who are now verifiably members of listed terrorist organizations, revelations of US involvement behind the rise of ISIS should come as little surprise. And beyond mere speculation, a 2012 US Defense Intelligence Agency (DIA) report leaked to the public, admits that the US and its allies sought the creation of a “Salafist” (Islamic) “principality” (State) in eastern Syria, precisely where ISIS now resides. All that’s left is for the Pentagon to perhaps, disclose payslips for ISIS leaders or logistical documents regarding US-NATO resupply operations for ISIS along the Turkish-Syrian border – and perhaps even such a disclosure would still not be enough to convince some in the West that the special interests posing as their leaders are complicit in creating not only ISIS, but organizing and ensuring the chaos they cause unfolding at home and abroad wherever and whenever needed. 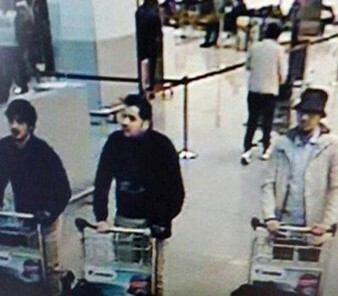 The fact that literally ever Brussels and Paris attack suspect was known to and in many cases detained by Western security agencies before the attacks, yet were released before being allowed to carry out their attacks successfully, proves that the West is enjoying the “experience” of maintaining a war on terror, but like good fishery conservationists, is ensuring the populations of their quarry remain healthy and numerous. Several weeks before Ukraine’s 2014 coup, Nuland had already picked Arseniy Yatsenyuk to be the future leader, but now “Yats” is no longer the guy. 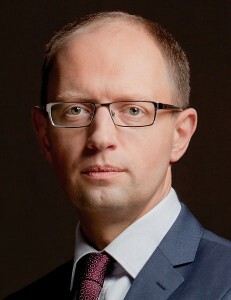 Ukraine’s Prime Minister Arseniy Yatsenyuk. 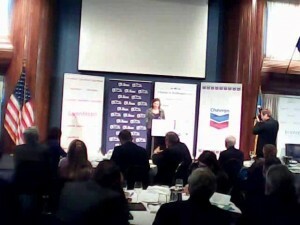 on Dec. 13, 2013, at an event sponsored by Chevron, with its logo to Nuland’s left.